Nikki-Taylor Principe wraps up her London travels with some photo-worthy location recommendations. This one’s a classic. If you’ve seen the movie named after the London neighborhood starring Julia Roberts and Hugh Grant, you know why. 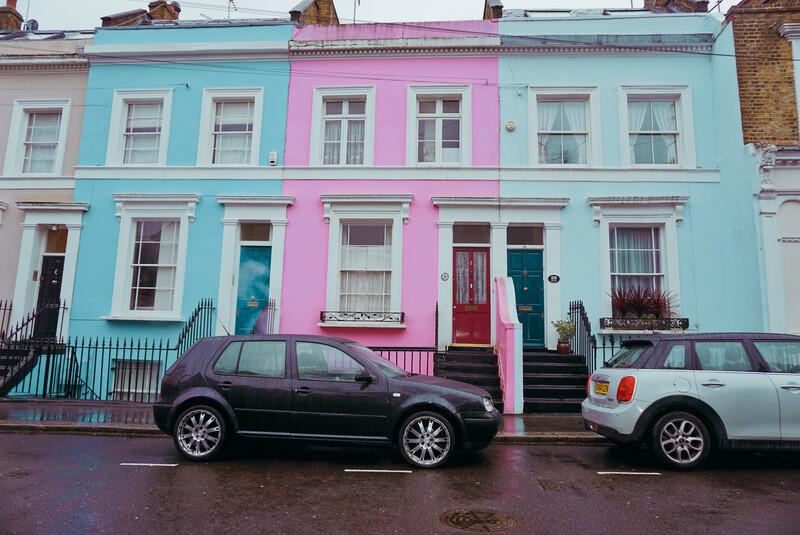 With beautiful pastel houses that line almost every block, you can’t help but feel as though you’ve stepped into a cotton-candy wonderland when you stroll around Notting Hill. Aside from the photogenic homes, Notting Hill also offers a bustling outdoor marketplace called Portobello Road Market–which is open rain or shine. Vintage clothing, homemade jewelry, and delicious street food are just some of the things you may be interested in purchasing in Notting Hill. And if you’re lucky, you may catch a live jazz band playing at a local bar. If you’re okay with traveling a bit farther from central London, pick a day to visit this eclectic warehouse of sorts. 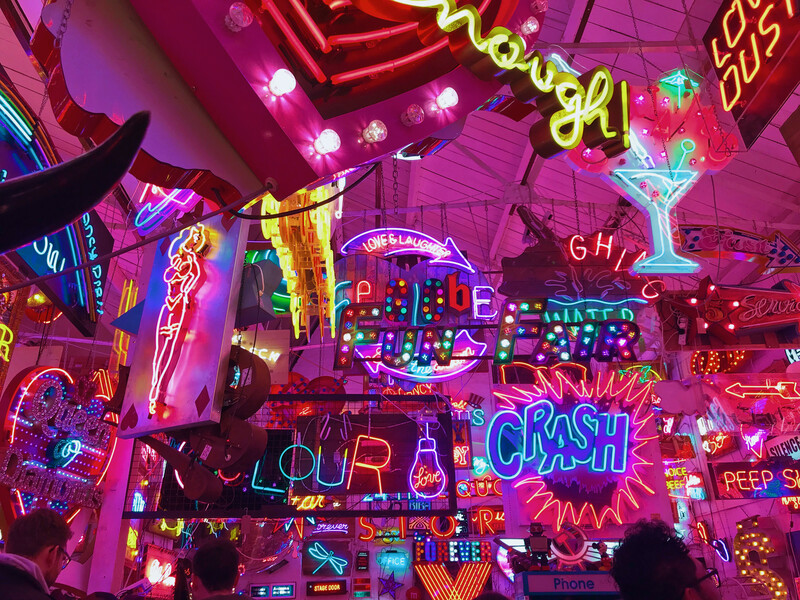 God’s Own Junkyard is a personal collection of vintage neon signs and other fun art pieces. Every inch of the salvage yard is covered with bright lights, making it a perfect backdrop for an Instagram photo. Not to mention, owner Chris Bracey has a pretty stellar playlist of music always on rotation. The ambiance of this place is unparalleled, and if that doesn’t convince you to go, The Rolling Scones Cafe offers food and drinks, and entry into the warehouse is completely free. 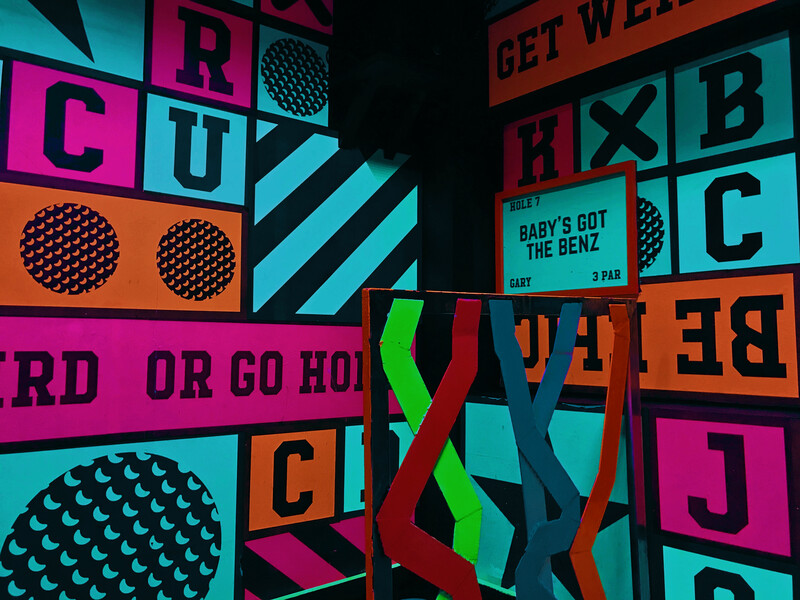 If you find that you don’t have plans one evening, Junkyard Golf is the perfect solution for you. It’s a wacky place that offers mini golf with a bar that serves even wackier cocktails. Even if you’re not the best at golf, you’ll thoroughly enjoy making your way through the nine-hole golf courses. From slides to car tires, anything and everything can be a part of the golf course here, and every room you move into is equally as “Instagrammable.” This would even be fun to do with friends, especially if you are the competitive type–-so be sure to bring your entourage along. If you’re in a nostalgic mood, and you could go for a bowl of cereal, hit up Cereal Killer Cafe. This cafe chain specializes in the greatest food group of all time: cereal. 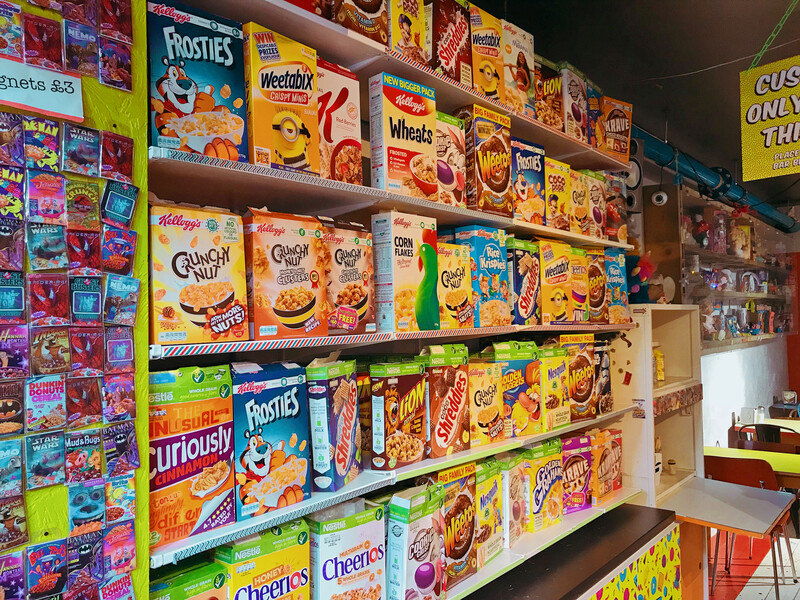 The walls of the cafe are lined with an insane amount of cereal boxes; it’s almost dizzying. Whatever you see on the walls is available on the menu, so choose your strange combination of cereal, milk, and toppings wisely. If cereal is not your cup of tea, the location also has other menu items, such as Pop-Tarts and milkshakes. Regardless of what you order, you’ll feel as if you’ve stepped into a time machine that’s taken you back to the ’90s. Cereal Killer Cafe play cartoons on old school TVs and even decorates with iconic bedspreads that you may have had in your childhood bedroom. Even if your cereal bowl isn’t too photogenic, the decor definitely is. If you’ve got a bit more money to spend, and you’re looking for some afternoon tea, Sketch is the place to go. In a beautiful pink tea room, you can indulge in yummy, bite-sized cakes and sip at some luxurious tea. While that’ll certainly occupy most of your time, make sure you visit Sketch’s bathroom before you go. Yes, the bathroom. In fact, this is probably the most Instagrammed bathroom of all time. 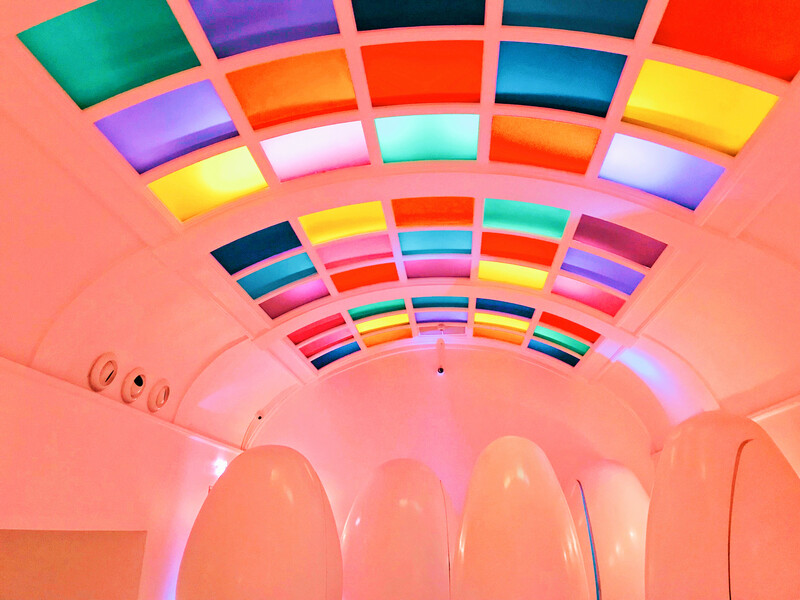 With colorful tiles that line the dome-like ceiling and individual stalls that look like eggs, you can’t help but feel as if you’ve stepped into the future–and a colorful one at that. Make sure to snag a selfie in the bathroom mirror; you’ll definitely get some likes on Instagram. 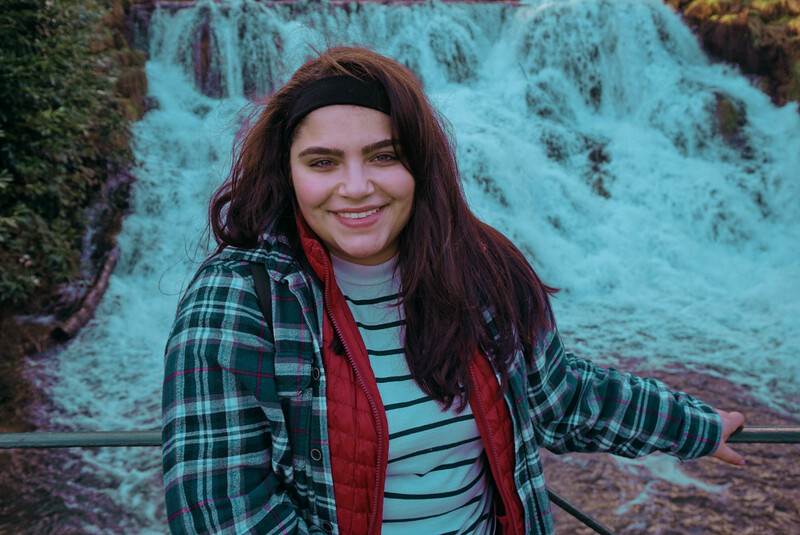 Nikki-Taylor Principe is a full-time student at Boston University’s College of Communication from Staten Island, New York. In her junior year, she is pursuing a Bachelor of Science in Communication with a specialization in advertising. As a member of the co-ed a cappella group the Boston University Allegrettos, Nikki spends her free time performing on stage. And if she’s not doing that, she’s probably watching videos on YouTube.